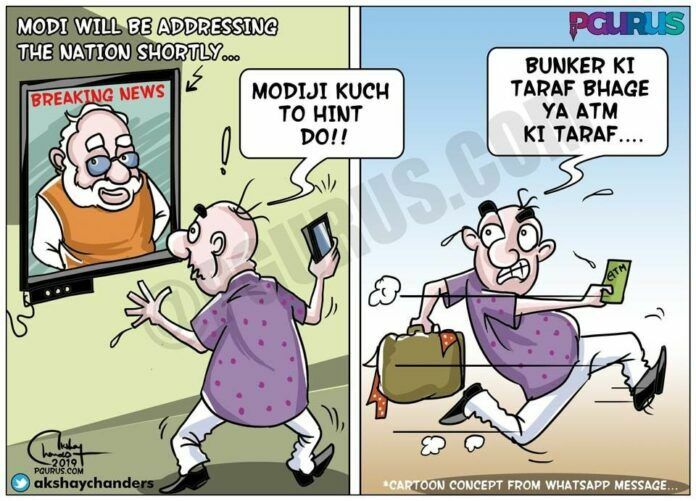 Home Politics Cartoon Modi announcement – Where do I go? Bunker or Banker? Modi announcement - Where do I go? Bunker or Banker? RaGa taunts PM Modi of hiding behind a woman BUT….